When it comes to rules of origin, Canada is weighing a new calculation method that takes into account the full cost of a vehicle. The United States has proposed raising the minimum North American share for duty-free movement under NAFTA to 85 per cent on vehicles, with a new additional requirement that 50 per cent of their value must have been generated in America. U.S. President Donald Trump insists raising those requirements would drive automakers to invest in the United States and create jobs there. Scotiabank disagrees. “It would be an unnecessary restriction on the North American auto sector that would render it less competitive against its global peers,” the financial institution says in a report entitled NAFTA: Data at Odds with Proposed Changes to Auto Rules of Origin. Economists reviewed a set of papers that find higher local content shares in Canadian- and Mexican-assembled manufactured goods and autos than in estimates presented in a recent cornerstone study by the U.S. Commerce Department that has been cited by U.S. Commerce Secretary Wilbur Ross. Ross has said in the past that data is not available beyond 2011, but Scotiabank argues otherwise. It calls the information being used by U.S. Department of Commerce and the Organisation for Economic Cooperation “skewed.” Instead, Scotiabank cites a more recent U.S. National Highway and Transportation Safety Administration report in arguing against changing the rules of origin requirement. According to the authors of the Scotiabank report, the U.S. government's own data, reported by the NHTSA, show that since 2011 U.S. and NAFTA content shares have generally increased in vehicles assembled in Canada and Mexico. Data also show it decreased in vehicles assembled in the United States. 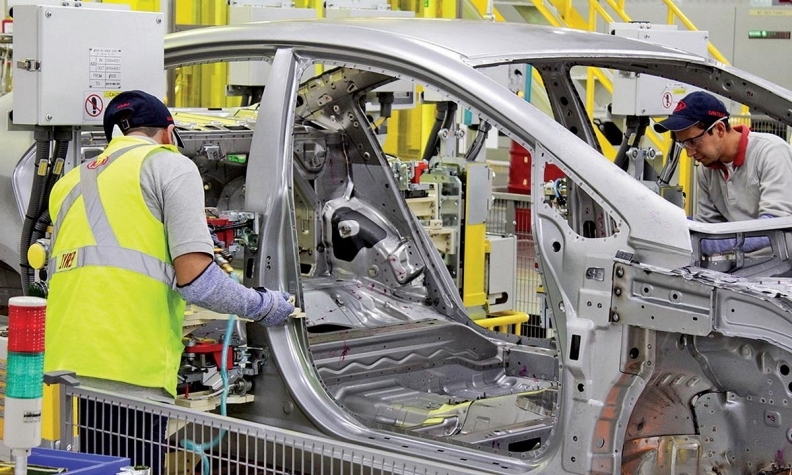 When it comes to auto parts production, “NAFTA members continue to dominate North American auto-parts markets,” the report says. Scotiabank insists there is no reason to tinker with NAFTA’s current rules of origin and warn it could backfire on U.S. politicians.